Originally, there were going to be two separate posts about what eventually became ‘Building all through the night’. One post was going to be about the main theme of ‘Building’ – rediscovering the joys of LEGO-building and how that’s become my new hobby. The other post, the prequel, was going to be about the secondary theme of ‘Building’ – the decluttering that cleared much-needed space so I could begin LEGO-building. Eventually, though, I decided to combine both posts into one and focus mostly on the positives of my LEGO-building. Don’t get me wrong – the decluttering was very positive as well. When I’ve recently mentioned to family and friends about my new LEGO-building, I’ve always mentioned that decluttering as well – and especially that night when I got rid of those four garbage bags filled mostly with clothing. Ultimately, though, I felt the LEGO-building was the greater positive, so I decided to focus on that. Yet, it’s been three weeks now and still the night of the four garbage bags remains as vivid as ever – and in particular, a moment that involved two shirts. Overall, filling those four garbage bags was a watershed moment in my life that was frightening, liberating, mind-boggling, saddening and very relieving all at once. The clothing that would fill those four garbage bags had occupied a wardrobe rack that stands next to my loft-bed. Over the years, more and more clothing that I had stopped wearing for one reason or another had wound up hanging from that rack or folded away on one of its shelves. Also over the years, many times I had told myself that one day I would get rid of all that clothing by donating what was still wearable and throwing out what wasn’t…but I never got around to it, especially as getting my donate-able clothing to somewhere that would take them seemed like an incredible pain in the arse. But starting earlier this year, the urge to get rid of that clothing became both stronger and more achievable. Not only had I made my new year’s resolution to get into LEGO-building, and not only was more and more LEGO from lay-by appearing in awkward separate piles around my apartment, but a Vinnies store had opened less than five minutes from my front door. The problem of getting rid of my donate-able clothing was solved! But then reading this surprising article in The Sydney Morning Herald changed everything. The first surprise in the article was that in some places, charity stores were closing down because they couldn’t compete with cheap new clothing available from retailers like Kmart Australia. The second and greatest surprise, however, was that nowadays charities threw out most of the formerly-cheap-new clothing donated to them because, thanks to globalised mass-production, it’s poor quality. …but shortly after, I realised that I now had a great opportunity on my hands. That clothing I no longer wore had been bought at places like Kmart Australia, Target and Lowes. Therefore, it wasn’t worth trying to donate it. I could – and should – just throw it out. About a week or so passed after I’d read that article. Finally, the night arrived when I decided to get rid of that clothing. True, the idea of all that waste bugged me a little, but I kept telling myself that leaving it hanging and stacked there wasn’t doing me any good and my LEGO needed the valuable storage space it was taking up, so out it must be thrown. I grabbed my roll of garbage bags from the kitchen and got to work. I removed items of clothing from coathangers, folded them up and dropped them into a garbage bag. …but despite myself, I got more than a little bugged. Most of my clothes were still intact and perfectly wearable. And some of them, like two Target polo shirts I had regularly worn years ago, brought back fond memories. So much so that with those two shirts, I relented and put them aside still on their hangers to start wearing again soon. I returned to the task at hand. Despite those holes, though, I had hung onto that shirt, and now I held it up and turned it about as the memories flooded back. I started to feel awful. I couldn’t throw out this great old shirt! A very uncomfortable moment passed. No, I had to throw out this great old shirt. Because if I didn’t, I wouldn’t throw out anything else. And my home and life would stay cluttered. I gritted my teeth, and with anger and hurt and regret but also relief, I removed the black Hawaiian shirt from its hanger, folded it up and shoved it into the latest garbage bag. Next, I took an extra step. I returned to those two striped polo shirts I’d put aside earlier, took them from their hangers, folded them up and shoved them into the garbage bag as well. And after that, I didn’t hesitate again. As that decluttering neared the end, there were two more surprises in store. Good grief! Finding them reinforced just how important it was to declutter. And then came the second surprise – several other pairs of shorts that not only could I not remember when and where I’d bought them, but still had their store-tags. I hadn’t worn them at all! Those I did keep – and I have since laundered them and worn one pair of them, which fitted well. 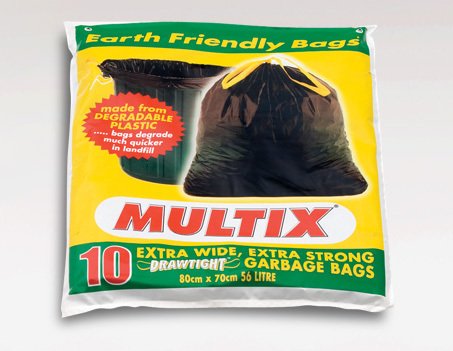 At last I finished and got my final surprise – the grand total of four garbage bags. Apart from a few items like my faithful Targus backpack that had served me well since 2006 but had finally bitten the dust, they were mostly filled with clothing. Good grief – that much?!? But despite that, I felt greatly relieved. And two trips later up and down three flights of stairs to the ground-floor garbage room, I felt even better. Three weeks later, the decluttering has continued without further regret. A week ago, another garbage bag of clothing went down to the ground floor. The LEGO-building has also continued. The stack of LEGO boxes in the space that used to be occupied by my bagged clothing looks very gratifying and continues to grow – and, I realised with amazement the other day, now comes up to my shoulders. There is still much more decluttering to be done. But now, I look forward to it. This entry was posted in Action, Anger, Gratitude, Happiness, Hope, Inspiration, Life Challenges, Life is Good, Life Strategies, Pain. Bookmark the permalink.